A very good Monday morning to you all! Today I would like to share with you a very simple nail art that I've done using Sally Hansen's Triple Shine nail polish. It's actually my first time sharing a nail art on my blog because personally I'm not very good at drawing nail arts, and secondly I don't have the patience to sit and draw. Actually I did try before, but when I mess up I have to wipe off everything and re-apply again. But during the weekend I suddenly had the mood to give it another try, not drawing of course, but rather just playing around with the colours and finding other ways to create and art. I decided to do this tutorial using Sally Hansen's Triple Shine because I'm really in love with it! The texture is so smooth and it's just amazing! 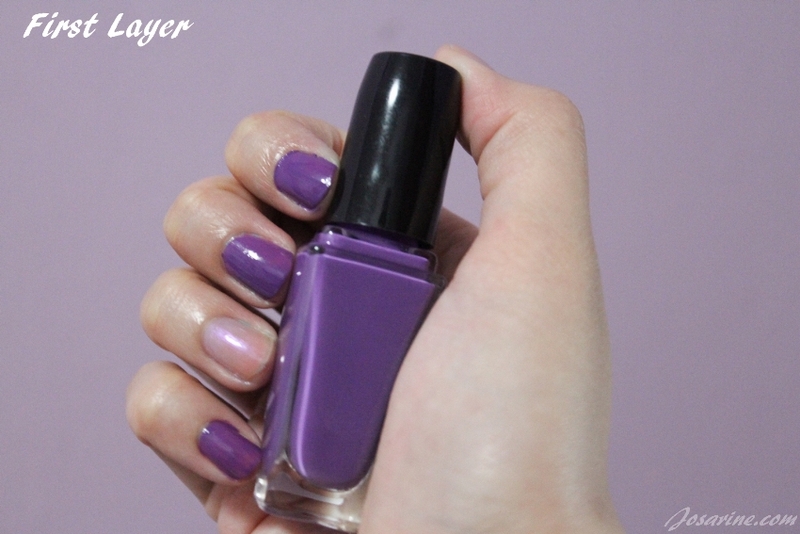 It's the best nail polish that I've used so far. Another great thing about it is that is strong enough and wouldn't chip through houseworks, swimming (chlorine), typing on keyboard, digging your handbag for stuff, you don't have to worry about it chipping. The nail polish contains Pro-Vitamin B5 & Vitamin E in which helps as a daily defense for your nails from water, detergent and daily wear. It also contains Natural Crushed Pearl, Sea-Kelp Extract & Vinyl Silicone that deliver high impact, glossy color with natural iridescence. So let's get started! :) I feel excited to share this art with you but at the same time shy cause is not as pretty compared to professionals... but here it goes! So firstly like any manicure that you go to, we will have to go through the 3 steps, which is shape, treat, and colour. I have already cut my nails, so here I'll be treating it by using Sally Hansen's Instant Cuticle Remover. 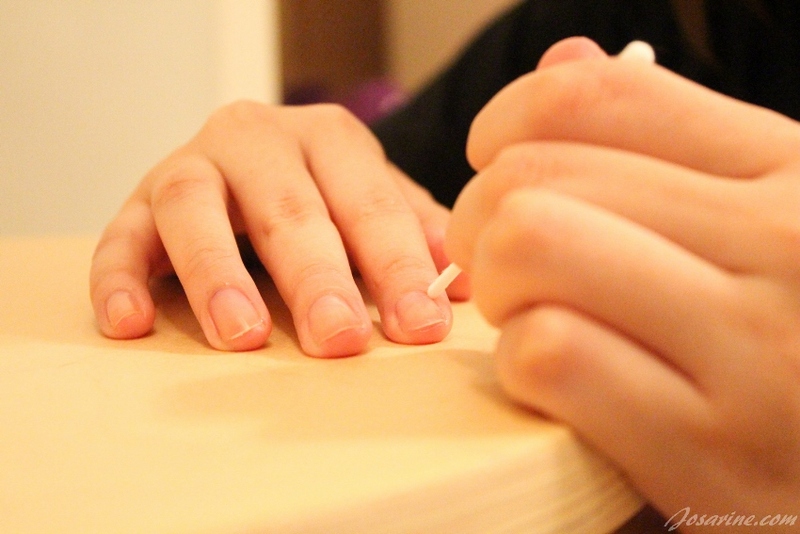 All you need to do is just leave it on for about 15 seconds and then push back the cuticles using your nail tools, I don't have that so for me I used a cotton bud, removing the bud using the stick. After that just wash it off. Next, I nourished my nails and skin Sally Hansen's Vitamin E Nail and Cuticle Oil. 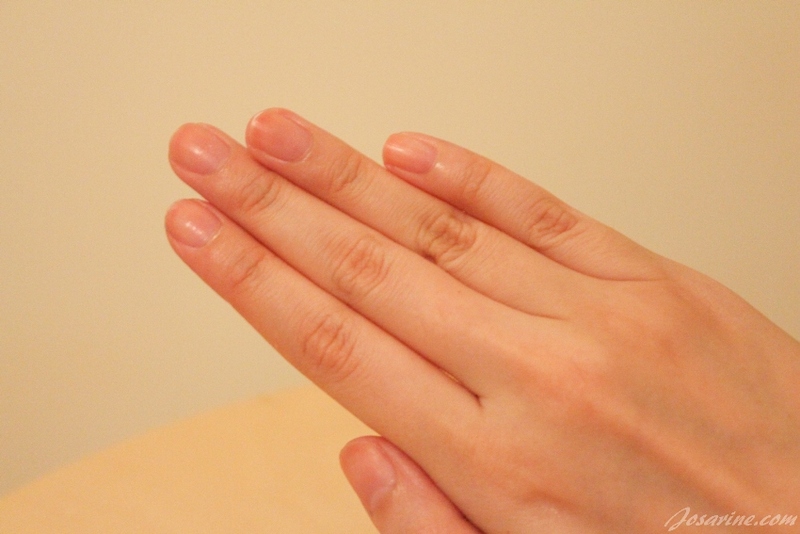 After application, I would massage the oil on my nails and cuticles for better absorption, and the wash off with soap. For my base coat, I used Sally Hansen's Hardener. By the way did you know that the idea of a nail hardener came about because Sally had soft nails that breaks easily, well like mine. So her chemist husband and Sally herself came up with this 'nail clinic in a bottle' idea, and it has been the best seller till today. I've tried it personally and I love it. It prevents nails from chipping, splitting and my nails definitely felt stronger than before. The brush is critical to perfectly thin coats that create the ultimately smooth surface that reflect the light for maximum shine. I really love the brush, and it makes application so easy and convenient. I applied the first coat of Vanity Flare - 290 and Drama Sheen - 140. 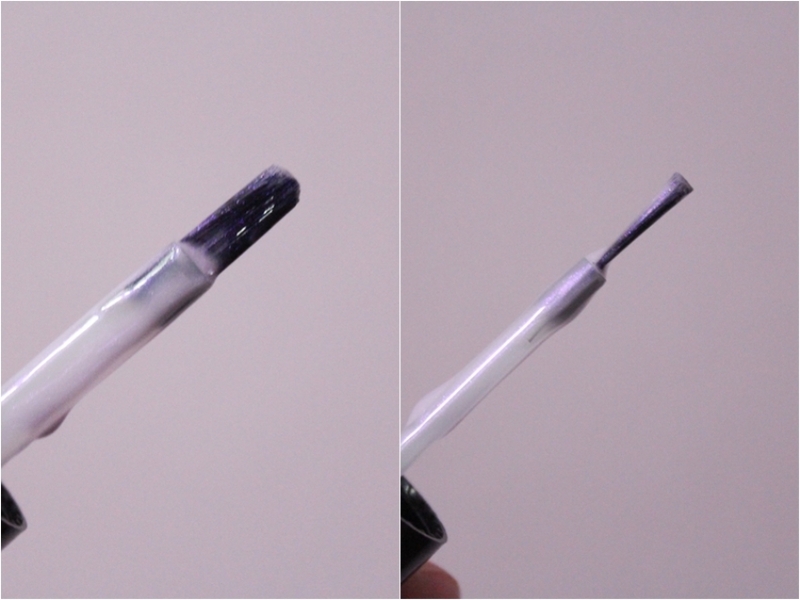 The Drama Sheen is very sheer, so I had to apply a few more coats than the Vanity Flare. Here i'm showing you the texture of the Triple Shine at its first coat. I had to apply another coat of Drama Sheen diagonally or else it wont be obvious. Next I used Twinkled Pink - 310. I applied about 2 to 3 coats on my thumb and ring finger. The more coats you apply the more glitters it'll show. 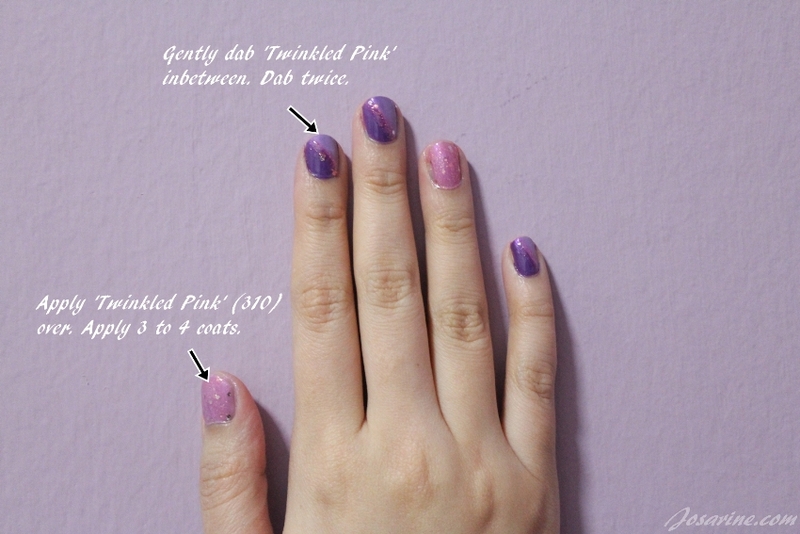 I also gently dabbed Twinkled pink in between, this will cover the obvious lines and also create a glittery art effect. I dabbed about 2 coats for the nail art. After your hard work of doing a nail art, it is compulsory to use a good top coat or else it would be a waste. 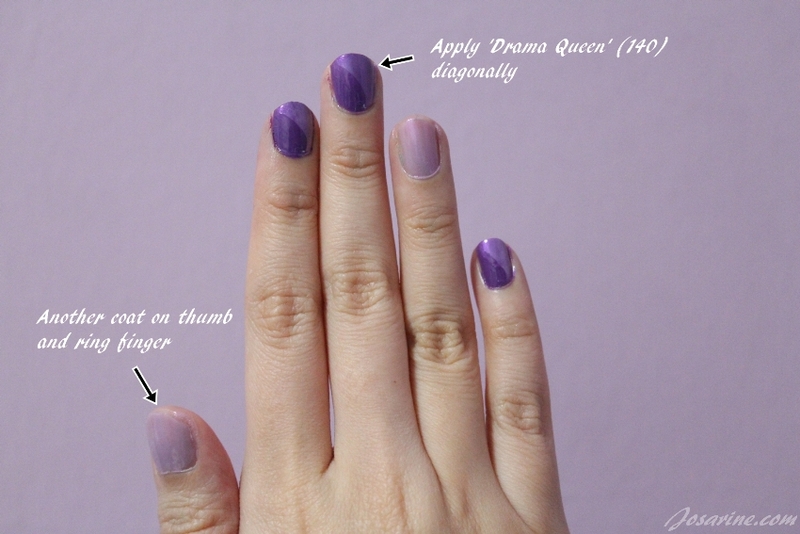 So I used the best top coat i've used so far, and it's the Sally Hansen's Insta-Dri Anti-Chip Top Coat. This top coat also helps dry my nail polish faster than usual. After applying the nail colour, I wait about 2 minutes before applying this top coat, my manicure will be dry to the touch in 30 seconds. So this is how i did my nail art. Super easy right? If you're not good with arts and stuff, this is something you can definitely do. Thanks to Sally Hansen's generosity, I'm able to give away 2 (TWO) Sally Hansen's Triple Shine (colour of your choice) to TWO winners. So in total I'll be giving away 4 Triple Shine, each winner will get TWO. 3. Share this Giveaway on Facebook, TAG TWO friends, and TAG my Facebook Page (so that i'll be alerted when you share). 4. 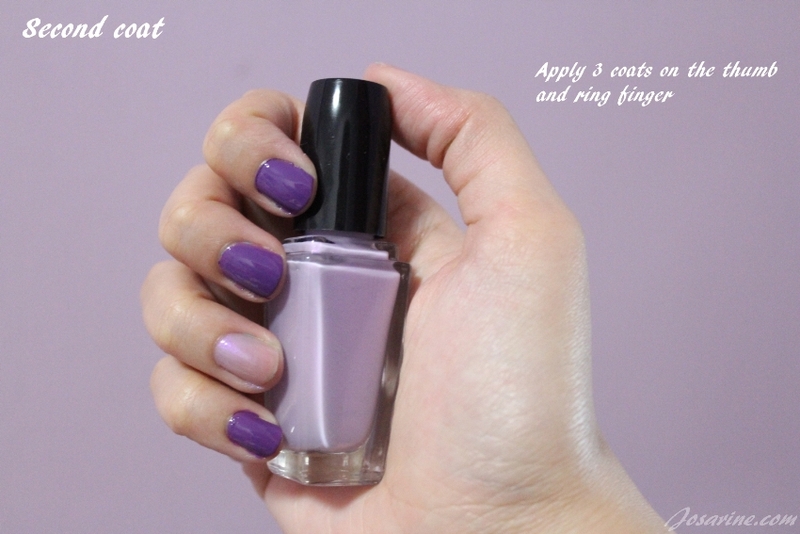 Comment on this post, "I want to win (name of nail colour 1) and (name of nail colour 2), because..."
Giveaway ends on the 27th of June 2014 at 11pm. This Giveaway is open to Kuala Lumpur and Selangor only. I want to win Lemon Shark and Twinkled Pink because they are perfect match for me to mix and match, love Sally Hansen super fast dry and easy to use. 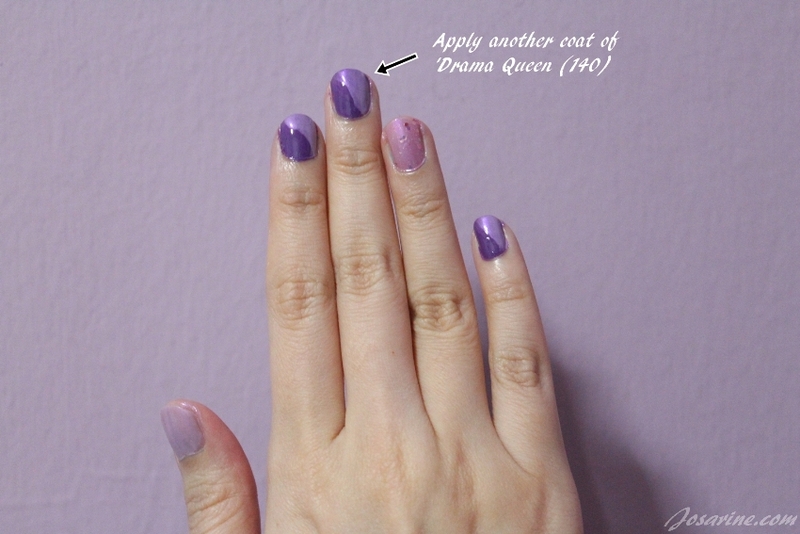 I want to win Drama Sheen and Dive In because I wanna try more colors on my nails and not the typical pink, red colors! I want to win Pinkie Slicks and Red Snapper to get that gorgeous pink shade to accessorize my nail! 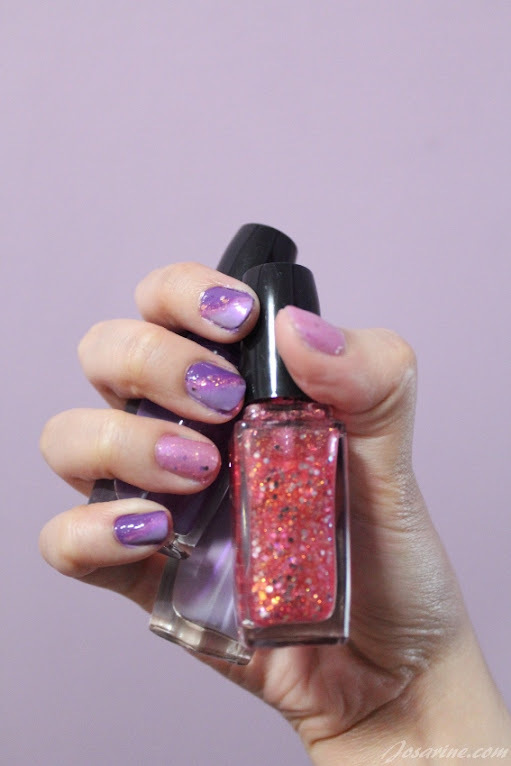 I want to win Statemint and Drama Sheen, because Sally Hansen Triple Shine looks so pretty and glossy on your nails, making me so wanna try it too ! I want to win 280 dive in and 250 lemon shark because it represent the weather now it is so summer make me think of beach (blue) and refreshing lemonade (yellow). 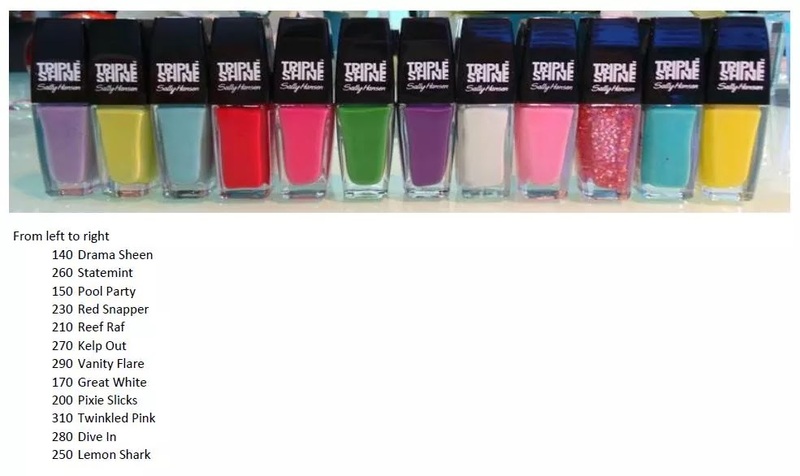 I would really love to win 200 pixie slicks and 280 dive in really nice nail polish colors!